First person has a large clump of minced beef and pork in hand. They made the base of their sauce using fresh tomatoes, garlic, onions, fish sauce, fresh chilis, and a bit of beef or pork broth, then let it simmer for a while. They briefly fried the meatballs to seal the flavour and keep them firm before adding them to their sauce, then let the concoction slowly simmer a while longer. This next bit of creativity always puts a smile on my face when I think of the ingenuity behind such a simple idea. I went into my favourite com binh dan (working class) lunch joint a few weeks ago and was shocked to see an interesting-looking potato dish among the offerings. Sometimes they make potatoes in a creamy French-style sauce but the version that day was made with fermented soybean paste (chao). I could smell the chao among all the other aromas on the steam table – that bitter, salty, and exquisitely stinky pungent creation that adds a kick to anything. The “aroma” is something between dirty old gym socks and blue cheese. 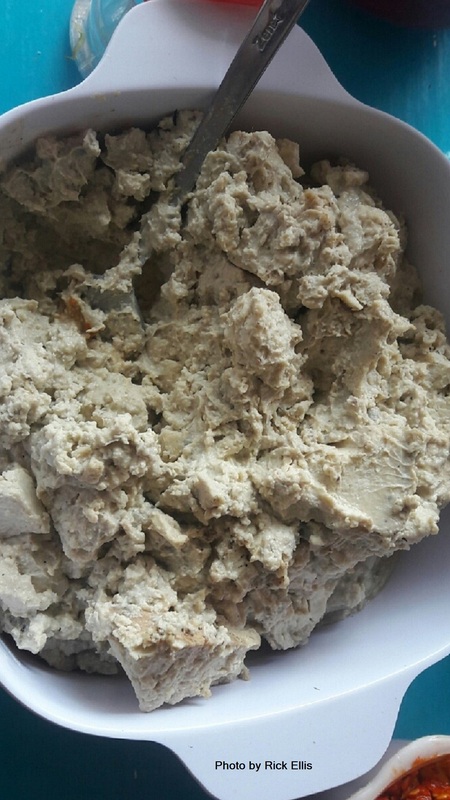 When served as a condiment – often alongside vegetarian dishes – it resembles potato salad to the Western eye. The chao was almost invisible in the potato dish but the flavour sure was there! Geez, if you’re sensitive, squeeze your nostrils closed. 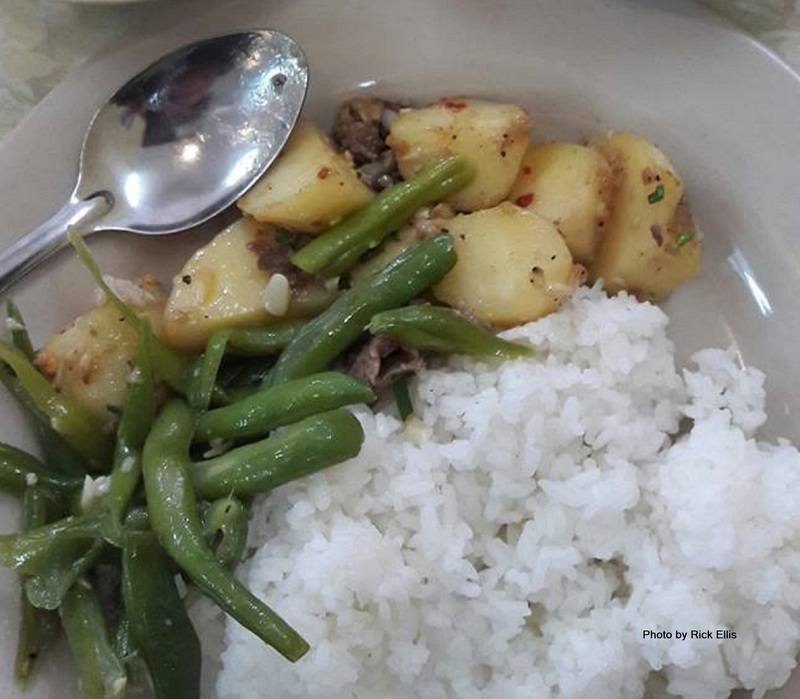 The boiled potato base for the dish, bland to the Vietnamese palate, definitely needs something to tickle the taste buds. Here is the ideal combination – perfectly balanced flavours between the two, yin and yang come to life on a plate! Another favourite is bo kho, the Vietnamese version of the French “ragout de boeuf” (beef stew), closely related to “pot-au-feu” (pot on the fire), both dishes being medleys of inexpensive cuts of beef including oxtail or marrowbone that need to be simmered for hours to come out tender. The French dishes include a variety of vegetables, especially carrots, onions, potatoes, seasonal offerings such as leeks and turnips, and the ragout features a dash of red wine. 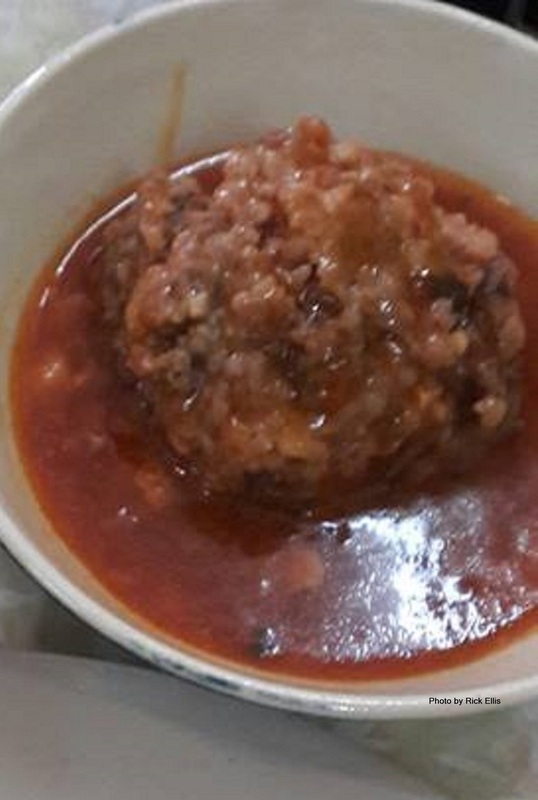 The dish is a typical family meal, the main difference being that the ragout truly is a stew, not dry or a soup, just like the Vietnamese version. 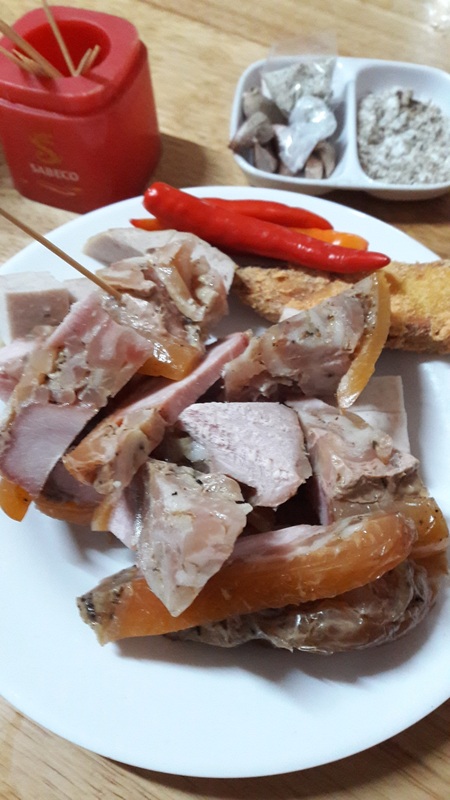 The Vietnamese version follows the same theme as many fusion dishes, featuring local ingredients such as rice wine (instead of red), pickled tiny onions, lemongrass, star anise, and a blend of chili and tomato pastes. Practically all foreign cuisines have a version of beef stew, so bo kho (bo is beef and kho means to braise) and its distinct Asian spin may not be for everyone. 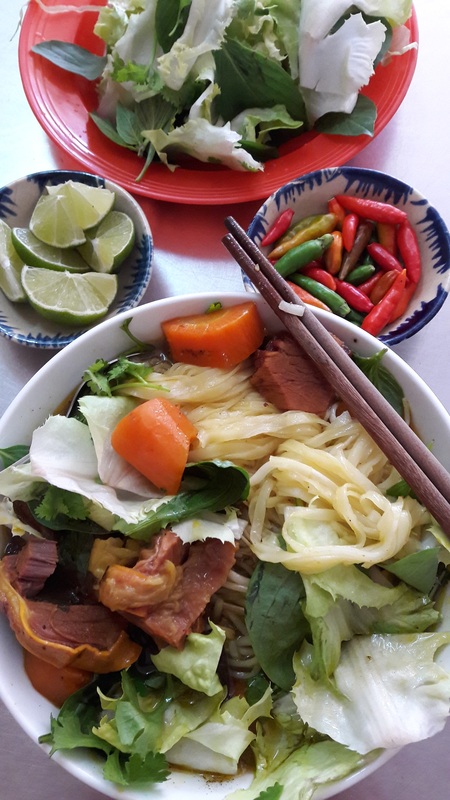 The real game-changer is that foreigners can enjoy this local version in Vietnam without the need for high-priced Western ingredients, so it’s easy on the wallet as well as being delicious and authentic. 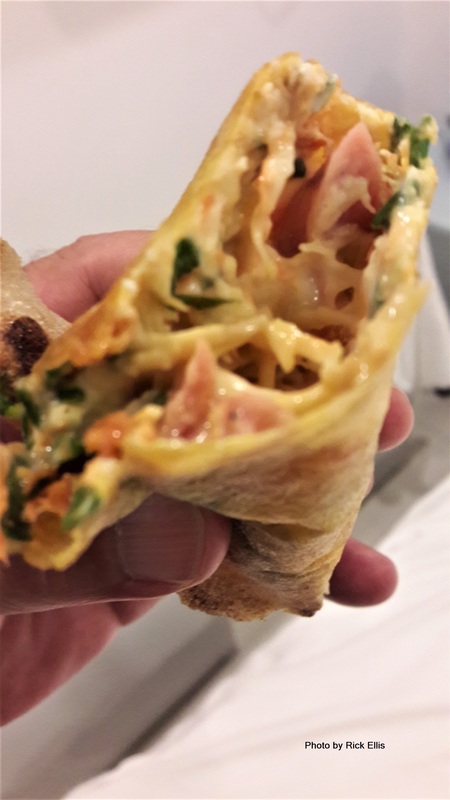 Any discussion about foreign influence on Vietnamese food must include banh trang nuong, the grilled round rice paper snack that is served sliced into triangular pieces like a pizza or quesadilla, or wrapped resembling a burrito. Given that rice paper has been used for centuries in Vietnam to make all types of rolls and wraps, any connection to the West is dubious at best, but based on similarity to the Western treats mentioned above, banh trang nuong is definitely worth a look. The standard offering starts with a round rice paper or sheet, dampened to create a soft wrap, or dry and firm to create a cracklier texture when cooked on a hot grill. A chicken’s egg is (or a couple of tiny quail eggs) spread all over the paper with a wedge of “La Vache Qui Rit” cheese added on the fly. The trick is to keep spinning the rice paper so that it’s evenly cooked without being burnt. Then diced scallion, browned, fried onion bits, dried pork floss, those teeny-weeny dried shrimp, and even chopped up hot dogs are added. Chili sauce is added before serving along with mayonnaise, resulting in the perfect snack for a chilly night. Another example of how foreigners can enjoy a local Vietnamese creation featuring local ingredients at a fraction of the cost of what is imported. And the list goes on and on including sizzling beef hot plates bo ne and bo luc lac, “patiso” (originating from the French “pâté chaud,” the warm pâté pastry), and banh flan (flan caramel), not to mention feats of reverse engineering such as Vietnamese giam bong (from the French ”jambon” meaning ham), pâté (the liver-based spread), gio thu (head cheese), sausages (cha lua, nem chua and others) and, of course, the banh mi itself. Every one of these culinary delights started with someone thinking out of the box, asking “What if we…..?” instead of doing things the way they were always done. The old adage “necessity is the mother of invention” sure is true, but it’s curiosity and innovation that make the difference in the way foreign influences are handled in Vietnamese cuisine.